He was born in Whittier, California, and lived in Southern California until the age of ten when he moved to Blaine, Washington. After graduating from Blaine High School, he went on to attend the University of Washington and in 2004 completed a Bachelors of Science in Biochemistry and a Bachelors of Arts in Near Eastern Languages and Civilizations. During his study at the university he was active on campus, serving as the president of the UW Muslim Students Association. After 9/11 he was also listed by the University of Washington as an expert on Islam and was invited to address various groups from all walks of life from universities to high schools to community groups as well as all forms of media (TV, Radio, Newspaper, Internet). After graduation Shaykh Hamzah went on to pursue traditional Islamic studies, which took him to a number of countries, including Syria and Egypt where he studied the Arabic language, Morocco, Mauritania, and UAE, where he studied the madhab of Imam Malik, grammar, usul al-hadith, and the two renditions of the qira’ah of Imam Nafi’, Warsh and Qalun, and finally Pakistan where he had the opportunity to study tafsir, usul al-hadith, hadith, ‘ilm al-rijal and Hanafi fiqh. All of these studies culminated in him receiving an ijazat al-tadris, literally meaning “a license to teach” which is the equivalent in Pakistani Islamic seminaries to a MA in Arabic and Islamic studies, as well as an unbroken chain of transmission by which to narrate the hadith of such books as the Muwatta of Imam Malik, the Sihah al-Sittah (Bukhari, Muslim, Abu Dawud, Tirmidhi, Nasa’i and Ibn Majah), and the Sharh Ma’ani al-Athar of Imam al-Tahawi. 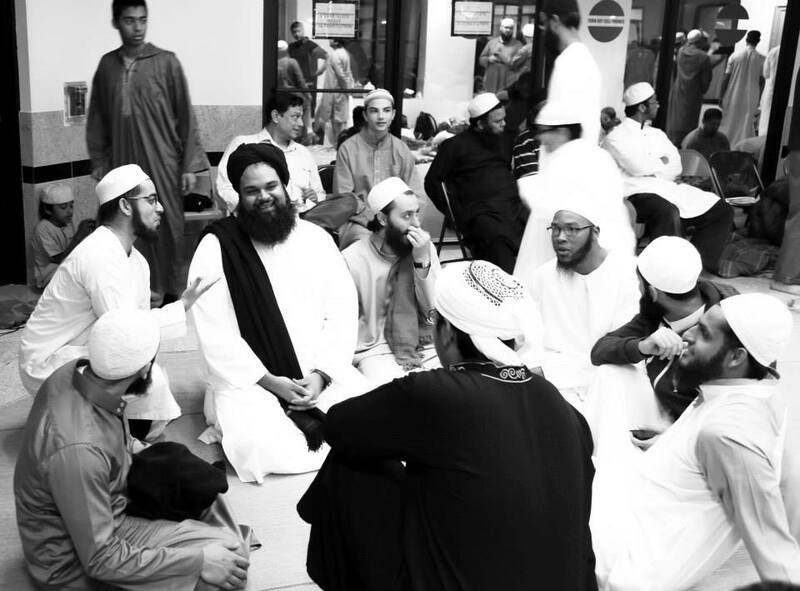 After his return to the United States, Shaykh Hamzah spent five years as the resident scholar of the Thawr Institute, a non-profit religious and educational organization based in Seattle, Washington, teaching, giving khutbahs in local masaajid, and travelling through America promoting the knowledge and practice of the sunnah. In parallel with his work at Thawr, he worked closely with Islamic Relief, CAIR Seattle, and a number of other non-profit organizations that serve the Muslim Community. He is currently an Imam with Islamic Relief, and teaches all the classes & programs held by Ribat, a center for learning and remembrance in the Chicago area.